Are skyrocketing gas prices getting you down? Are you questioning the environmental harm you're contributing to by driving to work? Maybe it's time to leave your car in the driveway and pedal to work. In Cambridge alone, the number of people bicycling has risen 70 percent, according to this recent story. 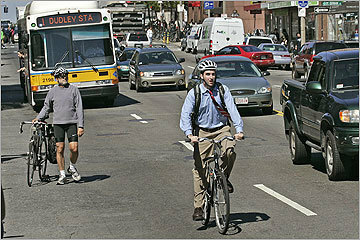 Before you buckle your helmet, check out these commuting tips.